KARACHI: Last month, a top-rated European business school gifted the efforts of 400 of its International MBA (IMBA) students to Pakistan. These students worked 24 hours a day for five days on the ‘LettuceBee Kids’ project, an Islamabad-based social enterprise aiming to provide a self-sufficient mechanism of survival to street children. Students brainstormed ideas on its sustainability, solving operational challenges and finding a multitude of creative ways to raising much-needed funds. 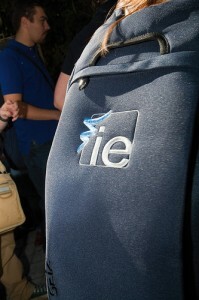 The opportunity was provided by the IE Business School in Madrid, Spain. This amazing program exposed and challenged their entire IMBA class (which was made-up of students from 75 nationalities) to projects from developing and poverty-stricken countries. It raised much-needed awareness among its elite student body about poverty and its associated challenges. The module is named “Change in Action” (CIA), and forms a core part of their IMBA program focused on tackling global problems. The module was launched in 2008, and their class has worked on many poverty projects, most recently from South America (Columbia and Guatemala). 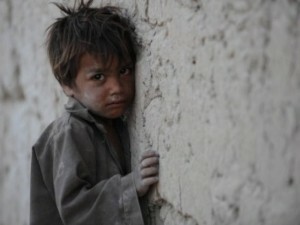 I was able to convince the professors to work on a rehabilitation project for street children in Islamabad. The real challenge for the faculty was to take a group of 400 top-notch students from around the world, who have no clue about Pakistan’s demographics and cultural idiosyncrasies, and bring them up to speed in just five days to make them able to come up with feasible and workable solutions to our problems. To guide them, Professor Todd Lombardo introduced the students to the concept of ‘design thinking’ to help structure the five days. Design thinking is a methodology that imbues the full spectrum of innovation activities with a human-centered design philosophy. The students had to go through six specific stages to recommend a viable solution: namely. understand, observe, synthesize, ideate, prototype and test. LettuceBee Kids Founder and Director Sarah Adeel and I spent an inordinate amount of time answering questions, helping the students visualize Pakistan’s dynamics, and in synthesizing and testing various hypotheses. On the last two days, all 50 groups presented their insights and solutions, and we walked away with some invaluable, distinct and creative solutions which will not only help LettuceBee Kids meet its challenges, but many of these ideas will also help other social sector organizations move towards financial and operational sustainability. I would strongly urge other elite institutions around the world to expose their students to the grave reality of poverty, which can be resolved only if we all work together. Issues such as global greed, lack of value-based business models, shocking income disparities between the ‘haves’ and the ‘have nots’, as well as global polices of advanced nations towards poor nations needs to be revamped, or else issues such as radicalism, terrorism and extremism will continue to plague us all.